Read more about some outstanding museum exhibitions! There are many ways to construct exhibition panels in-house for temporary exhibits. 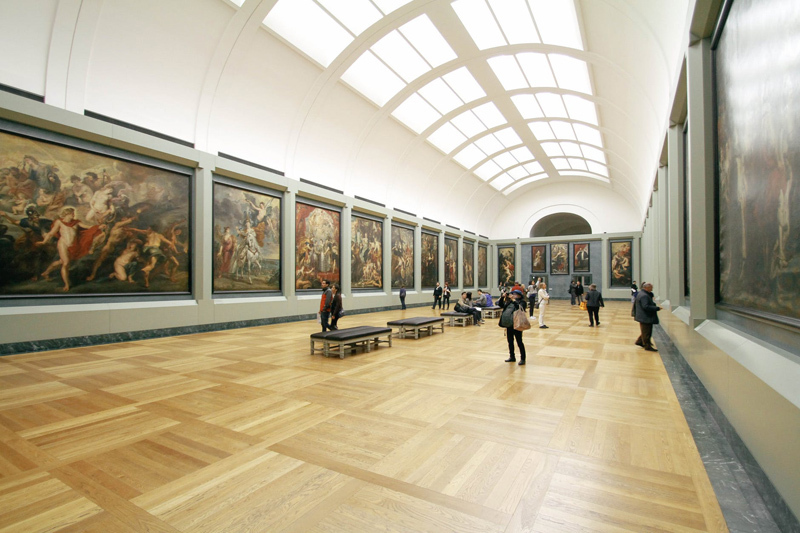 Here are three options to consider in your museum. In the 1920s silent film star Colleen Moore commissioned a magnificent miniature castle to raise money for children’s charities. It is now on display at the Museum of Science and Industry in Chicago. This amazing selection of bridal gowns spans three centuries and explores the culture and fashion of the American wedding. What an awe-inspiring experience to see this fantastic exhibit about Princess Diana´s life! If you’re anywhere near Canton, Ohio, you need to check out this amazing exhibit of Itchiku Kubota´s work! This exhibition explores the personal meaning of objects, why we save the things we keep, and how to preserve a variety of materials. It could be replicated in any history museum! Five artifacts. Brief labels. Powerful message. The permanent – yet ever changing – exhibition Fashion Timeline features iconic fashions from the world-renowned collection of the Kent State University Museum. This new kind of traveling exhibition explores “green themes” that can help museum visitors and the planet become healthier! This traveling show is a must-see. Is it coming to a museum near you? Did you know that tobacco, beaver pelts, and cocoa beans were once used as currency? This fun, educational traveling exhibit will teach you all about money! This Smithsonian exhibition of White House decorative arts features pieces that have never been displayed in a modern gallery setting before. This traveling exhibition tells the story of the White House grounds, from Thomas Jefferson’s original plans to First Lady Michelle Obama’s vegetable garden. The Working White House provides a behind-the-scenes glimpse at the inner workings of the President’s home. Is a museum near you hosting this traveling exhibit? This exhibition celebrating the life and work of Diana, Princess of Wales is on view in the United States once again! Learn more about the "People's Princess" at this fabulous exhibition! Kodak just introduced a new kind of paper that will have curators jumping up and down with delight! Yoko Ono recently tweeted a photo of John Lennon’s bloody glasses to protest gun violence. Sometimes an artifact is worth a thousand words. Sometimes the most power words aren’t the ones you write yourself.